San Antonio, TX – Cookbook author, food blogger, and culinary consultant Jody Eddy was keynote speaker at The Culinary Institute of America, San Antonio commencement ceremonies on December 21. Eddy’s first cookbook, Come In, We’re Closed: An Invitation to Staff Meals at the World’s Best Restaurants was nominated for a James Beard Foundation Award in 2013 and her second, North: The New Nordic Cuisine of Iceland, won the 2015 Judge’s Choice Award from the International Association of Culinary Professionals. Her latest cookbook project is with CIA alumna Maneet Chauhan ’00. 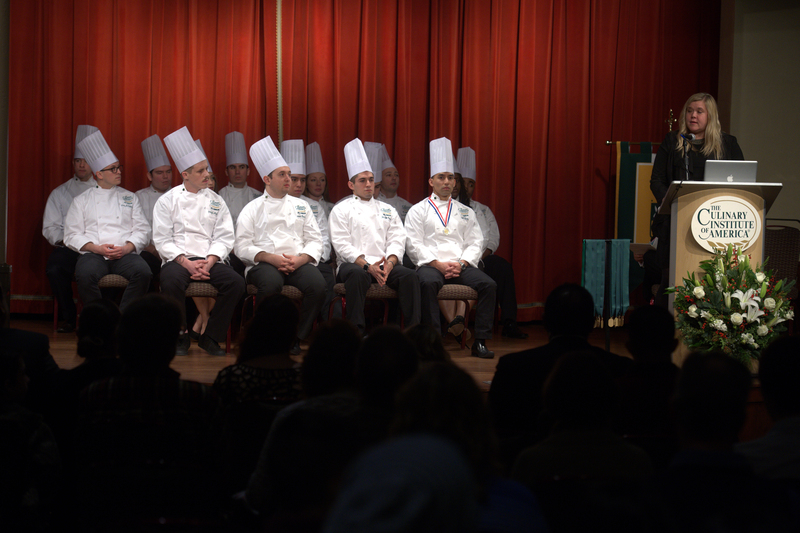 The CIA San Antonio offers associate degrees in Culinary Arts and Baking & Pastry Arts. Graduates can then transfer to the college’s New York campus to complete bachelor’s degrees in Food Business Management, Culinary Science, or Applied Food Studies.